I've prepared countless variations of risotto dishes in the past, but risotto is so versatile that there are always new opportunities for creativity. 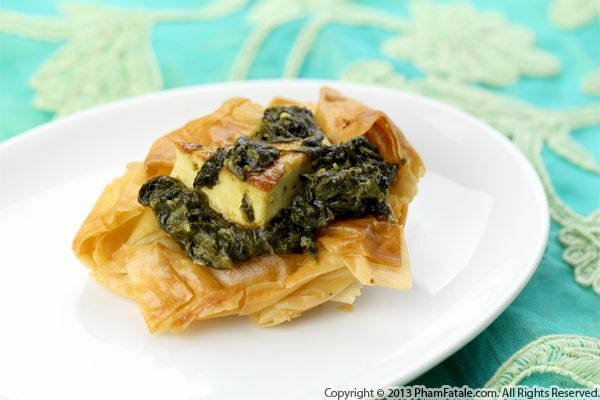 I prepared a creamy spinach version when Sunny's friend Maia stopped by for dinner recently. I hadn't started making dinner yet and immediately gravitated to the creamy rice dish. 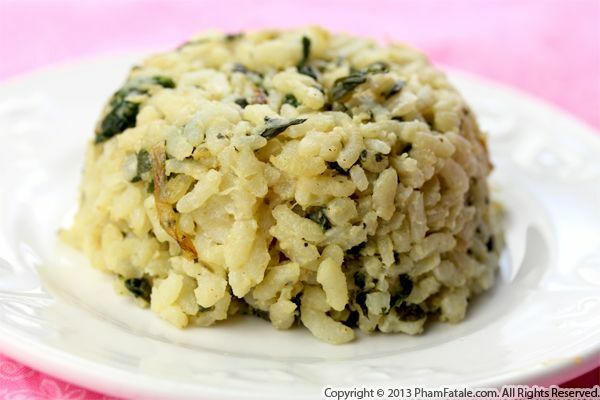 I combined Vialone Nano rice, Pecorino cheese, fresh spinach leaves, onions, garlic and a touch of heavy cream. I haven't hit the gym in a month and I won't be able to get back in the groove any time soon as my schedule is booked from morning 'til late at night. So with holiday season right around the corner, I can already venture a guess as to what my New Year’s resolution will be. Although I’m enjoying food to the fullest, I’ve been trying to (at least) maintain portion control. This is an Indian take on the classic Greek fare with a healthy twist. 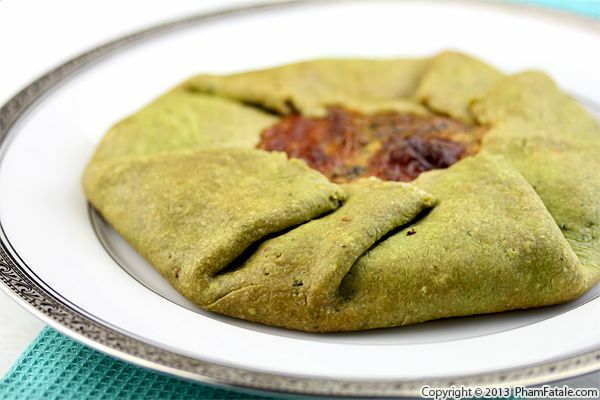 I prepared the savory "pastry" with spinach-flavored lavash bread and used palak paneer as the filling. 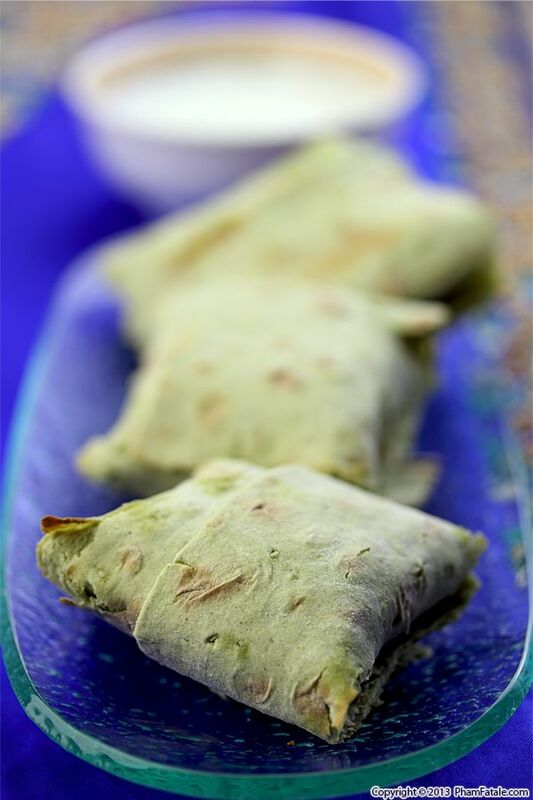 Many Indian dishes are served family-style and this is a great way to turn palak paneer into individual servings. We had many guests over the weekend and I served these fusion-style appetizers with raita sauce on the side. Quick note: I'm going to be in Houston this weekend for my first interview with Cleverley Stone on her show on CBS Sports & Entertainment Radio this Saturday, August 31st at 10 am. Then I will be heading to Barnes & Noble at 2 pm for a cooking demo, followed by a book signing. If you live in Houston or in the area, stop by and sample some of the food from my second cookbook, Banh Mi. The girls are becoming such foodies. All summer, they've been involved in the preparation of the family meal. Since Sunny knows how to drive, she took the rest of the girls grocery shopping today and came home with a lot of greens. We concocted a savory green pie in the form of spinach-flavored crostata filled with asparagus, marinated artichokes and more spinach. How cool is that? Each girl got assigned a specific task. Sunny prepped the greens (celery, asparagus and artichokes) and cheeses (mozzarella and Gruyere), Lya caramelized the onions and Mimi and Lala were in charge of the buttery spinach dough. 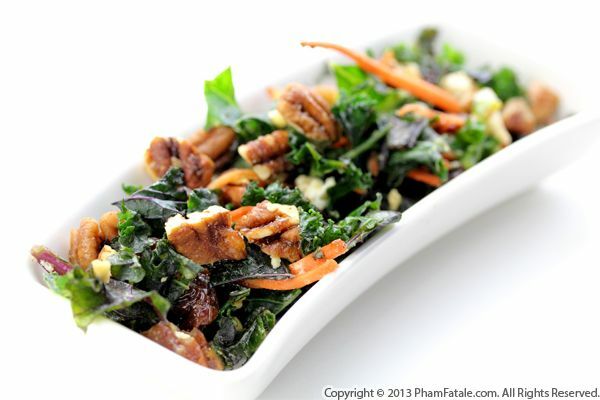 Since we made such a rich dish, we paired it with a salad loaded with fresh, crisp vegetables. Anything will do, but I especially like shredded carrots.